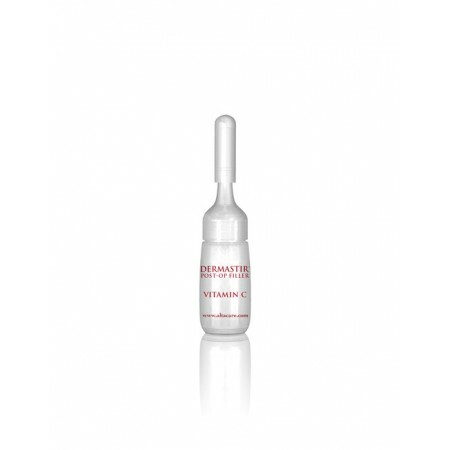 Dermastir Vitamin C is presented in a stable solid particle form at a high dosage of 25%. Vitamin C is important because it is an antioxidant that prevents pigmentation. Vitamin C is a key element in the production of collagen and in high concentrations, accelerates the skin's cell turnover mechanism, breaking up dark spots while improving dull skin tones. 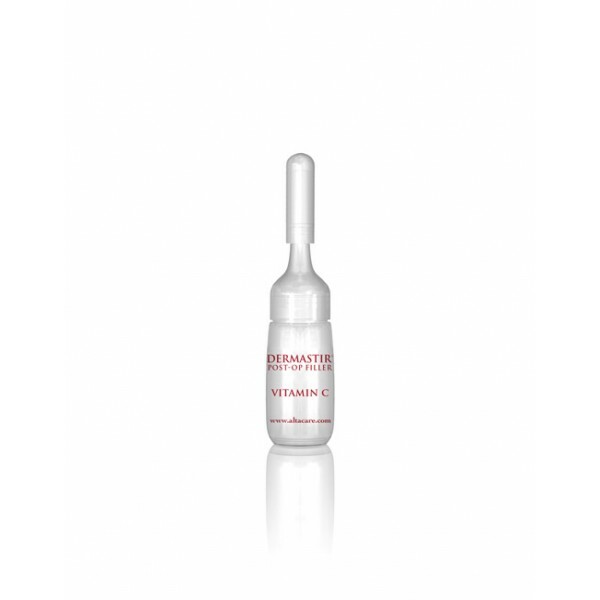 Dermastir Vitamin C acts as a gentle exfoliator that helps to erase pigmentation while smoothing the skin at the same time.The ingredient in the Dermastir Post Filler, can be dosed on the respective area of the face that needs more attention.